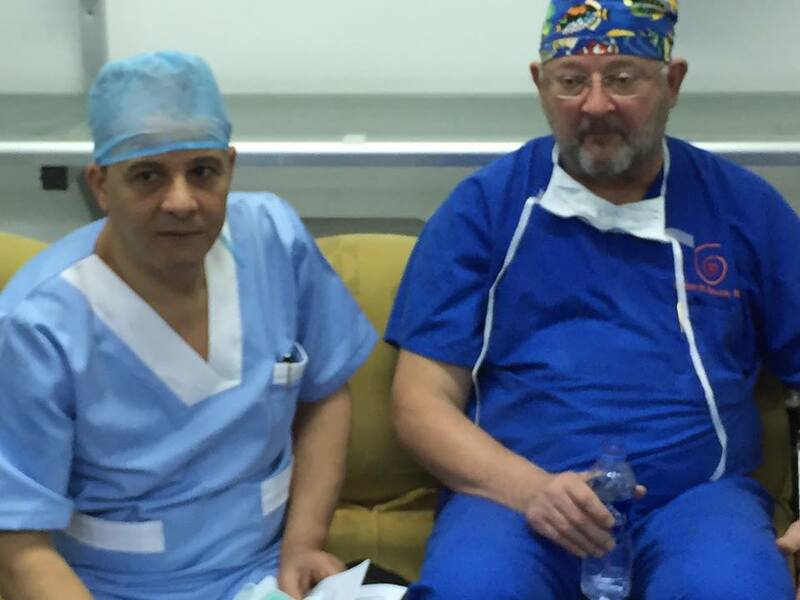 I have taken paediatric cardiac surgical teams into Libya since 2012 and we have operated on more than 350 children. This programme was initiated by Minister for Health (for eastern Libya) Reida El Oakley. It was he who got us to come out to Libya originally in 2012 and it is he who has continued to push this effort since then. Our planned October visit to Benghazi will, it seems, now be cancelled unless we secure 125,000 USDs to cover consumables and tickets for the team coming from the US and Europe who donate their time free of charge. The 25-30 kids who need urgent life-saving heart operations may now not get it. We were in Benghazi operating when the Benina airport was closed and we were forced to evacuate via Al Beida. Due to the ongoing conflict our program was suspended in June 2014 until Minister El Oakley called and requested we assess restarting the program in Tobruk. We were able to restart the program in Tobruk Medical Centre in February 2015 and two trips in early 2015 before Minister El Oakley requested we submit to him a proposal for six trips of one- month duration over 12 consecutive months. I submitted a proposal to the Minister which he reviewed, made changes to and resent to me. I refined the proposal further and resubmitted it, he made further revisions and we finalized the agreement. We have already made five of the six trips in the proposal, provided by donation equipment and disposables in excess of 100,000 US Dollars and operated on over 180 children to date. We are averaging just over 36 children per trip. Minister El Oakley receives a report of the clinical results and educational and improvement of the local team following each trip. We have stayed within budget, operated on over 180 children, provided ventilators, monitors, syringe and infusion pumps, temporary pacemakers and donated over $100,000 in supplies in addition to purchasing supplies for the program at costs below local quotes. There have been some suggestions that this program has no accountability and does not receive regular review of effectiveness. This would indicate to me that people don’t know what we are doing for the children of Libya with heart disease, even though the Minister and the families of the children with heart disease are well aware of and value it greatly. 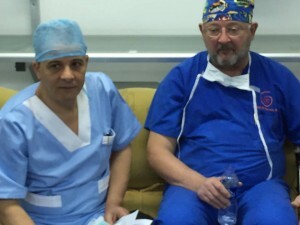 This program is providing heart surgery at an average cost of $5,000, letting families stay in Libya, saving travel and accommodation costs, and providing education and experience to the local team. This is quite simply a unique and extremely cost effective program that is providing life-saving cardiac surgery to children and building a local team, while maintaining oversight via the Minister of Health, Reida El Oakley. Libyan children’s lives should not be subjected to political infighting. Kids will die if we don’t make this trip. And yes kids will die if we do, but 30-40 will be saved if we come. I hope the money is found to make this trip happen.